What is a collective noun? Collective nouns denote a group of things. For example a group of lions is called a pride of lions; pride is the collective noun. 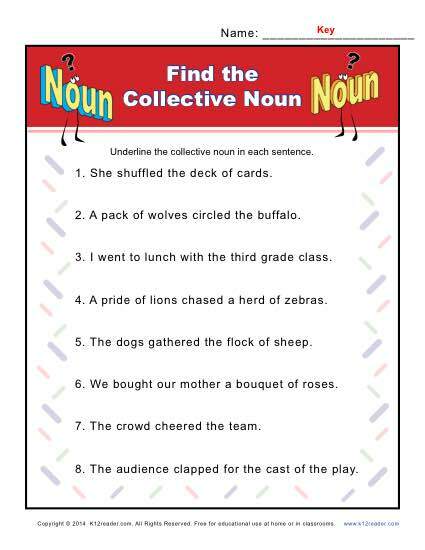 In this worksheet your student will underline the collective noun in each sentence. Use it for Common Core Standards for Language for 2nd grade or for other grades as needed.